[S00121] 1860 United States Federal Census, Images reproduced by FamilySearch, (Ancestry.com Operations, Inc., 2009), [database online]., Stark, Herkimer, New York (Page 29 of 39). 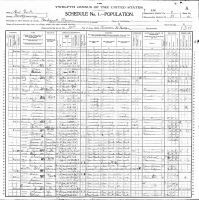 [S00128] 1900 United States Federal Census, Ancestry.com, (Ancestry.com Operations Inc, 2004. ), [database online]., Mohawk, Montgomery, New York (Page 29 of 32).